There is a day of the year to celebrate the most inpiring, courageous, caring and loving woman in the world - your one & only MUM! Mother's Day is the perfect day to thank Mum for all the unconditional love she's always given to you and the whole family. Any mother figure can be celebrated on this day, including mother-in-law, stepmother, close female relative, family friend, etc. It is a day to remind these loving women that everything they do is appreciated. It is also a day to remind them how unique and amazing they are! 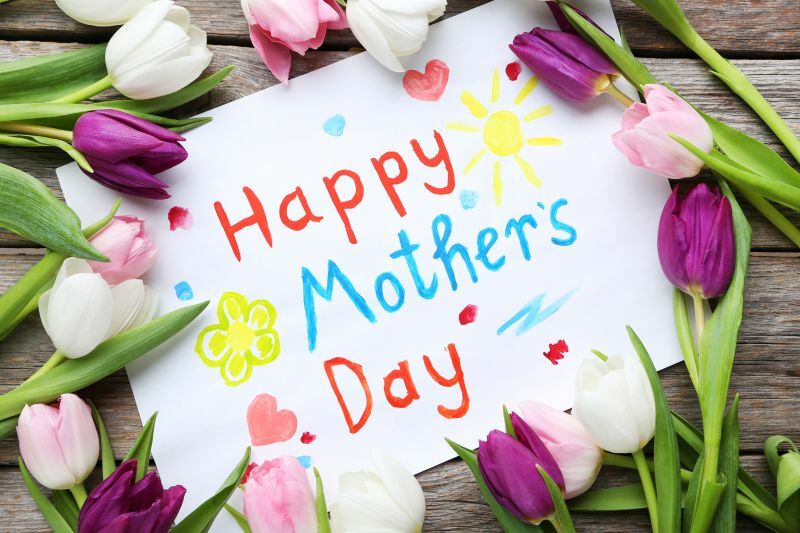 Mothering Sunday in UK originated from an earlier custom in which families would return to their "mother" church - the original chirch they attended before moving away. Nowadays, Mother's day is still grounded in religion. Boys are traditionally gifting their mothers with a lovely bouquet of fresh flowers while girls usually bake hand-made fruit cakes, called "Simnel Cakes". The idea of the holiday was given by Julia Ward Hawe back in 1872. However, it was thanks to another woman - Anna Jarvis - that Mother's Day gained so much popularity. She aimed to honour the life of her own mother who'd passed away, and devoted her time in making any effort to get the holiday recognized. Traditions in USA connected with Mother's Day celebration include family dinners/ lunches, churchgoing, sending flowers and cards. 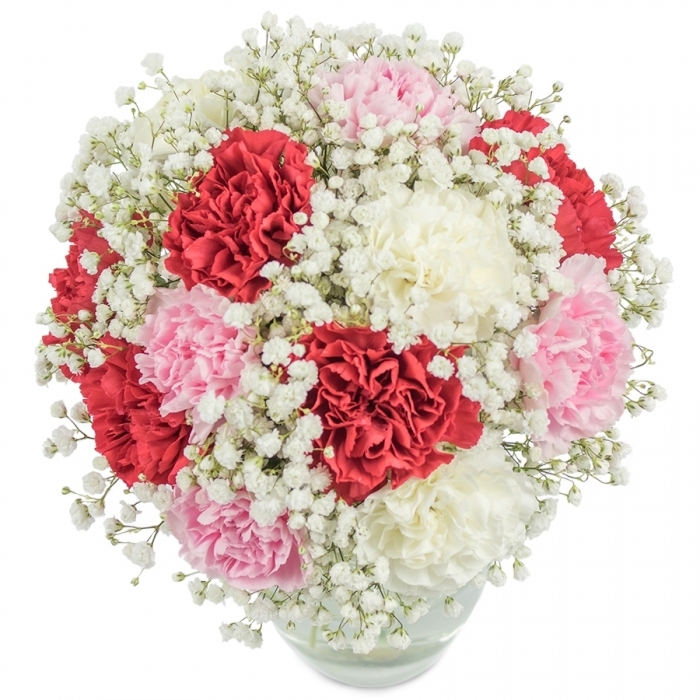 Carnations are widely associated with the holiday as it is said that Anna Jarvis delivered 500 carnations at the first official celebration in 1908. The gentle strenght of mothers is traditionally honoured with a sweet bouquet of carnations in Japan. According to the Japanese culture the flower symbolizes the endurance of motherhood. The holiday is celebrated on the second Sunday of May and is a day to pamper mum with hand-made cards, specially made family meal of traditional Japanese dishes such as sushi, tempura and sashimi. May 10th is the date to celebrate Mum in Mexico no matter what day it is on the calendar. It is a common tradition there that children visit their mothers on the night before Mother's Day. On the next day, they all go to church and listen to the traditional song " Las mañanitas" The event is followed by giving of traditional foods and beverages such as "tamales" and "atole". Just as in the other countries, Mother's Day in India is the time to appreciate and thank mum for all her precious advice, love and care. Children prepare lovely meals for the whole family and let mum rest for a while away from the kitchen. Fresh flowers and cards are the top gifts people count on to celebrate their most special women. No matter in which country you are right now, show your mum how special she is to you. Thank her for being a constant inspiration and a guiding light that leads you towards your greatest achievements in life!